It’s taken you a few weeks to get your baby into a good schedule and sleeping well. Now that you’ve put in the time, effort, and energy to make this big change in your family’s life, that trip you have planned for next month is starting to stress you out! 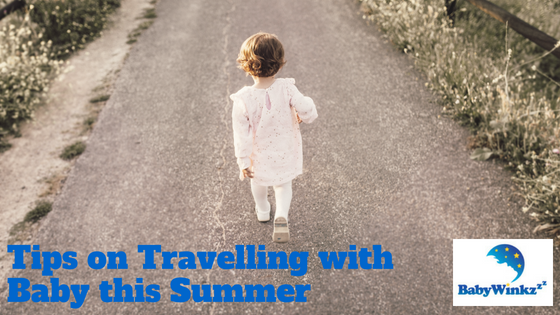 If you’re like most parents, your biggest fear is that a trip is going to derail all the progress you and your baby have made and cause you to start this process all over again. Sometimes the mere thought of it frightens parents so much that they cancel all summer trips and just vow to stay home until the child leaves for college. That is how important your baby’s new sleeping regime has become to everyone. You may start to give into this pressure and bend your expectations for your baby’s sleep. It’s easy to see how you could revert back to your own familiar ways in no time if you gave into this pressure and fear. Another big mistake parents make is to bed share with their baby or toddler while traveling. Bed sharing is a big no-no! Even it’s it is only for a few nights, if your baby decides this is her new preferred location, you could find yourself starting all over again when you get home. Most hotels have a cot you can use or rent or take your pack and play along and use that as a cot. If your child is eight months or older, my advice is to try to make some sort of a private space for your baby to sleep. This could be the bathroom (if it’s big enough) or the closet. Anywhere that you can build some sort of a partition between you and your baby, so that if she has a wake up in the middle of the night she is not so excited to see her two favourite people that she ends up wide awake thinking it’s play time! Of course, getting an extra bedroom for your child is great if that’s an option for you.